Through it's aggressive expansion plan in Asia, McLaren has now made it into the shores of Malaysia and started with a bang by launching it's first showroom at Mutiara Damansara. The opening marks the 41st retail location in it's 25th global market within the span of 2 years. The iconic British brand of high performance sports car is represented by Sime Darby Auto Britannia Sdn Bhd in Malaysia which is a subsidiary of Sime Darby Motors. This is the 3rd collaboration between Sime Darby Motors and McLaren Automotive where the other 2 is at Hong Kong and Shanghai. 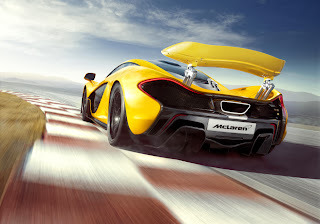 It's truly the ultimate expression of McLaren's engineering expertise and design. Sven also explained that McLaren Automotive aims to expand beyond Formula 1 racing and have its state-of-the-art high performance sports cars available to discerning enthusiasts. “Asia, including Malaysia, has an ever-growing pool of high net worth individuals who are becoming more and more astute in the way they invest, especially in their passion, and this provides a fascinating opportunity for a brand like McLaren,” he added. The showroom at the Ground Floor of Menara Mudajaya, Mutiara Damansara is supported by the McLaren Kuala Lumpur Service Centre in Temasya Industrial Park, Glenmarie. The Service Centre has a fully-equipped two-bay workshop where the employees have been professionally trained at the McLaren Technology Centre (MTC) in Woking, Surrey, UK. 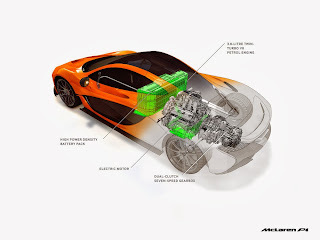 This means they have the capability and expertise to service and diagnose any McLaren sports cars with the highest of standards. The McLaren 12C was derived from McLaren's world championship-winning Formula 1 heritage and it's starting price is from RM2.036 million. McLaren Kuala Lumpur also has a vehicle adoption policy that offers existing McLaren sports car owners in Malaysia the opportunity to maintain their cars with an authorised McLaren service centre.